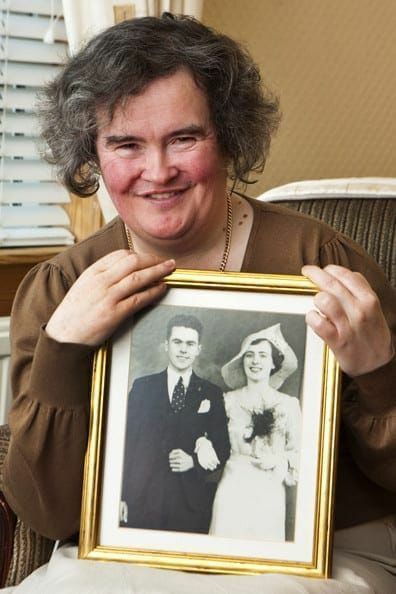 Susan Boyle was an unknown for most of her life. All of that changed when she was 47 years old and got up the courage to audition for the British talent competition show Britain’s Got Talent. The Scottish singer went from obscure to famous overnight, silencing even renowned judge Simon Cowell. 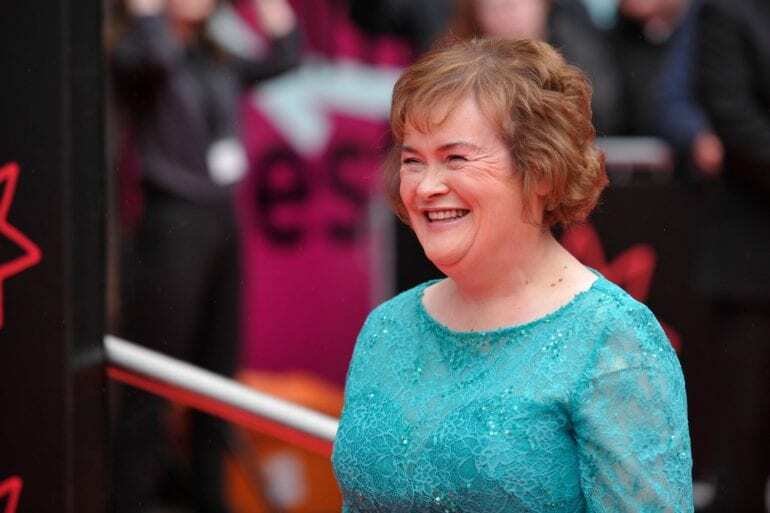 We are going to take you on a journey of Susan Boyle’s life, from devoted daughter and sister, to acclaimed singer. 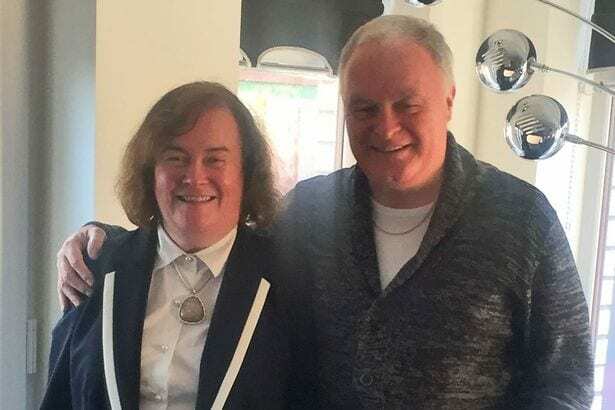 Boyle’s tale is a true Cinderella story and we are going to start from the very beginning of her life, running through all the major events that lead up to her life today. 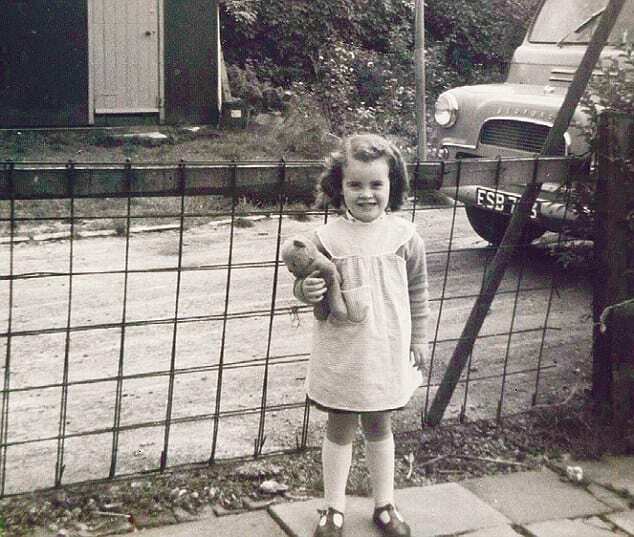 Throwing it back to Susan’s beginnings in Blackburn, Scotland, a baby Susan is being held by her mother in this photo. She was born in April of 1961 to Patrick, her miner father who was musically inclined as well, and her mother, Bridget, who was a typist. 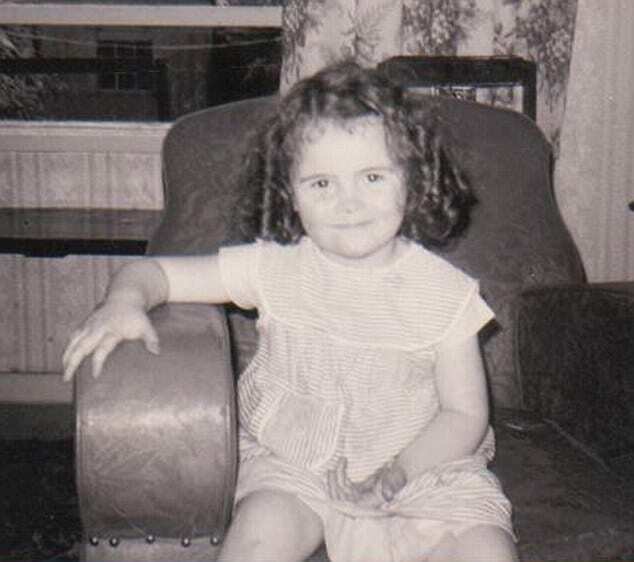 Susan was born when her mother was 45 years old and is the youngest of nine children to the Boyle household. No one could have anticipated Susan’s shining future. A young Susan was bullied as a school girl, nicknamed ‘Susie Simple’ due to the fact that she was different from others. 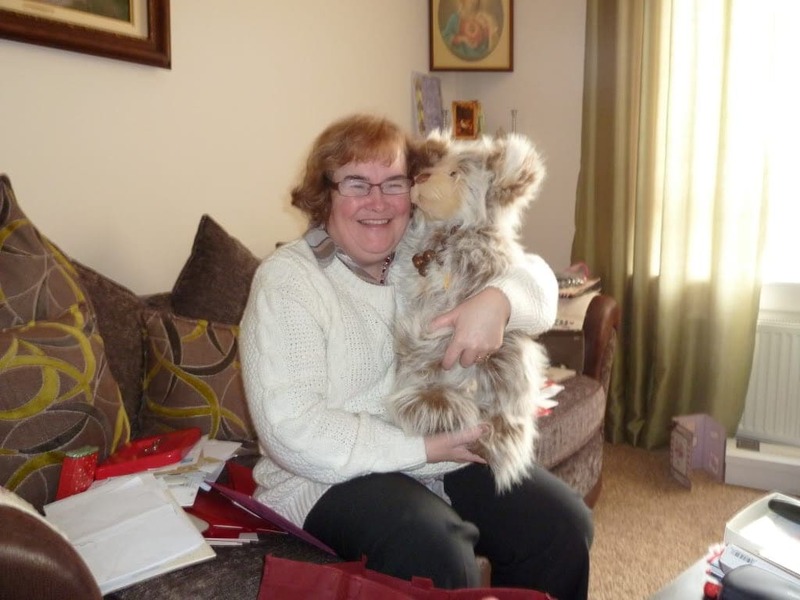 Susan was told by her mother that she was different from others because she did not get enough oxygen during her birth and the result were learning disabilities. Susan did not finish her schooling with top marks, but didn’t let that stop her from attending Edinburgh Acting School. 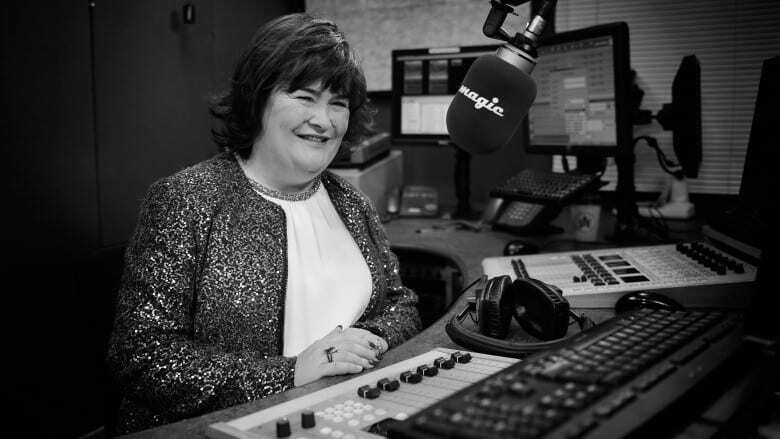 In 1998, Susan showed her dream of becoming a singer when she recorded three tracks onto a demo that she later sent to several radio talent competitions, record labels and other television talent competition shows. 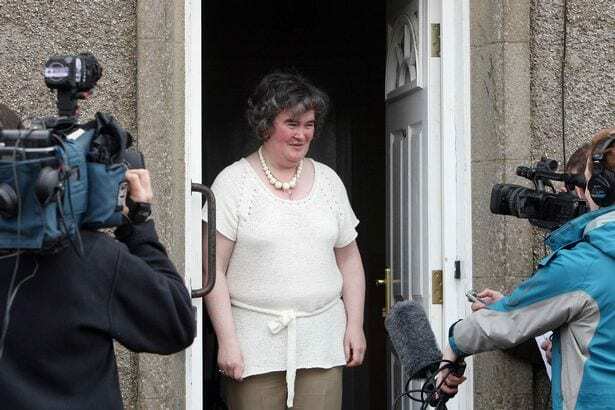 All of this was over a decade before Susan would be convinced to audition for Britain’s Got Talent in front of a live audience, judges and televised for the world to see and judge for itself. 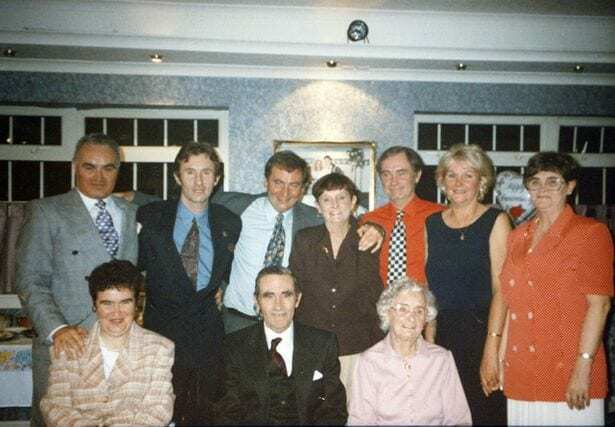 Susan is seen here on the bottom left corner of the photo. She is with her family years before her audition and subsequent fame. Susan’s mother Bridget was Susan’s number one fan. She went to her singing events, supported her dream of becoming a professional singer and was there for her through it all. It was Bridget who convinced Susan to audition for Britain’s Got Talent, much to her luck. 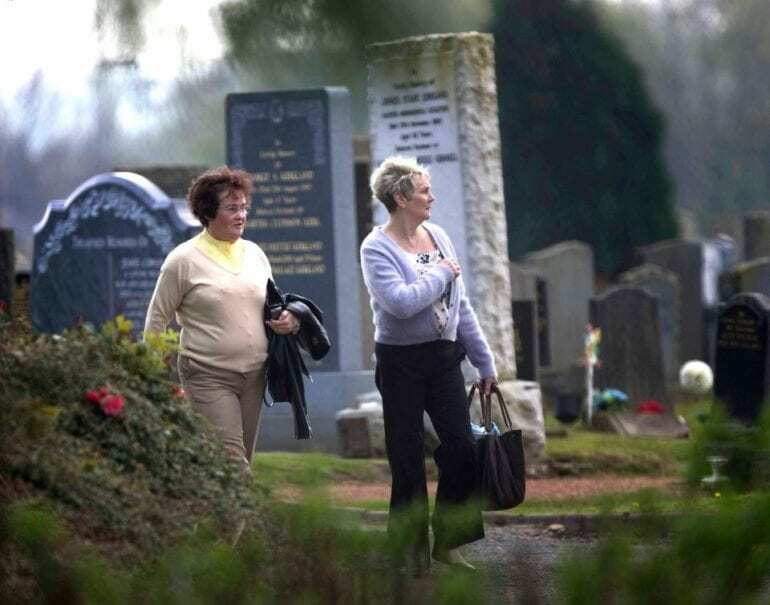 Susan took care of her mother until her dying day in 2007. 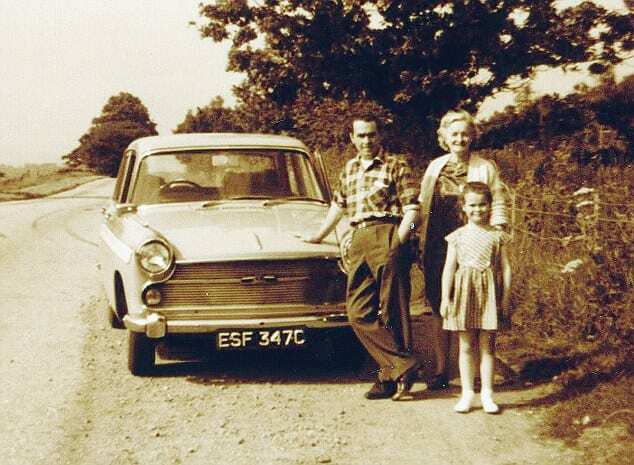 She spent her life caring for her, having never married and remained in the family home. When her mother passed away, a neighbor said that Susan “wouldn’t come out for three or four days or answer the door or phone.” Her strong bond with her mother was her defining characteristic and shows the heart and bond that Susan has with others around her. 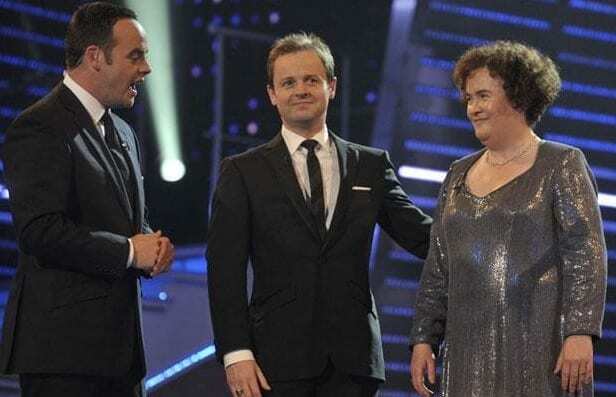 It was Susan’s promise to her mother to audition that had Susan in front of the judges on that fateful day in 2009. Susan thought she was too old to audition and was to be made a laughing stock in front of national television, which is why her mother’s words were so potent in her mind. She had to audition or else she would not honor her mother’s wishes. It was her voice coach, Fred O’Neil who also convinced her to go up on stage. 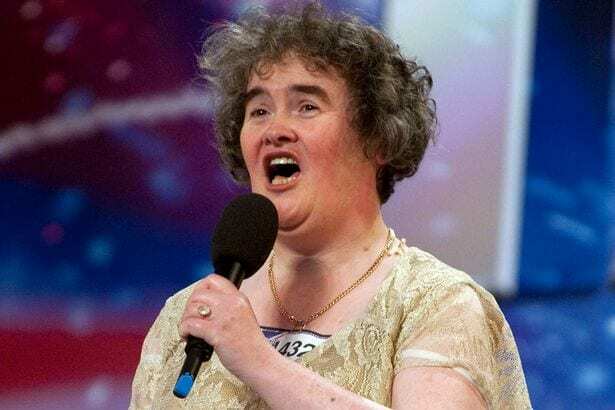 When Susan got on that audition stage in front of thousands of people in the crowd as well as millions more at home, no one knew what was hidden in the quiet middle-aged woman’s vocal chords. As soon as she opened her mouth, the entire room was silenced and shocked. Susan sang her rendition of I Dreamed a Dream from Les Misérables, a song that is well-known for being incredibly hard to sing properly. She sang it perfectly. 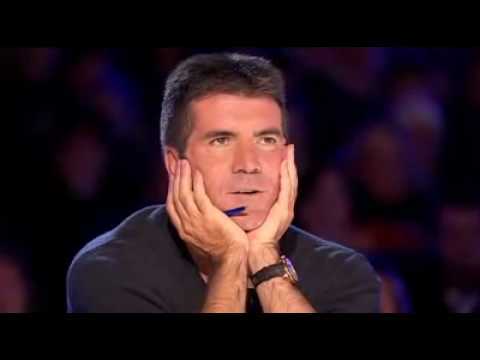 Who could forget judge Simon Cowell’s face when Susan began singing? We sure can’t. The normally snarky and mean judge was left dumbfounded when Susan was singing. He expected, like most of the audience, to hear a terrible audition and call it a day. However, he got more than he bargained for (and judged before he heard) when it came to Susan. It was this performance that made Simon change his thinking when it comes to judging a book by its cover. Susan was a favorite to win the musical competition show. Her story touched the lives of so many people who have always wanted to live out their dreams but never got the chance or were too fearful of the result. 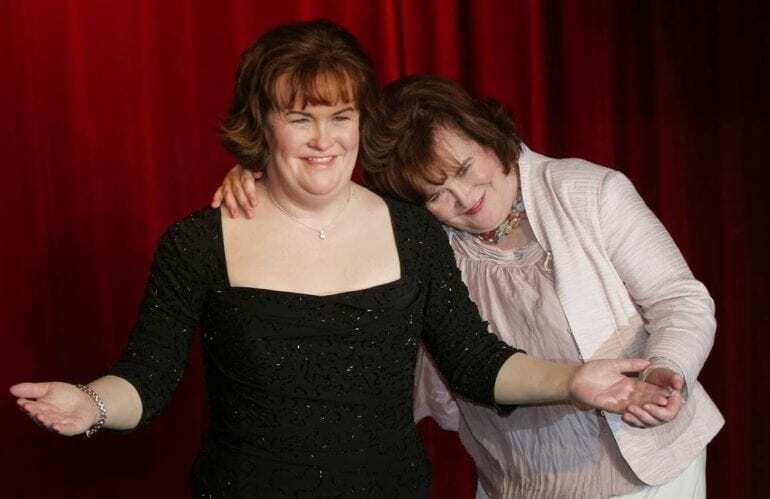 As such, Susan was thought to be the one to win the show as it was up to audience votes to decide who was going to win, and she sure had a lot of support. Alas, Susan came in second on the show, much to the dismay of the audience and judges. However, despite coming in second, Susan got enough time in the spotlight to get noticed. Simon Cowell signed her to his record label and got her singing for the first time in a professional capacity. 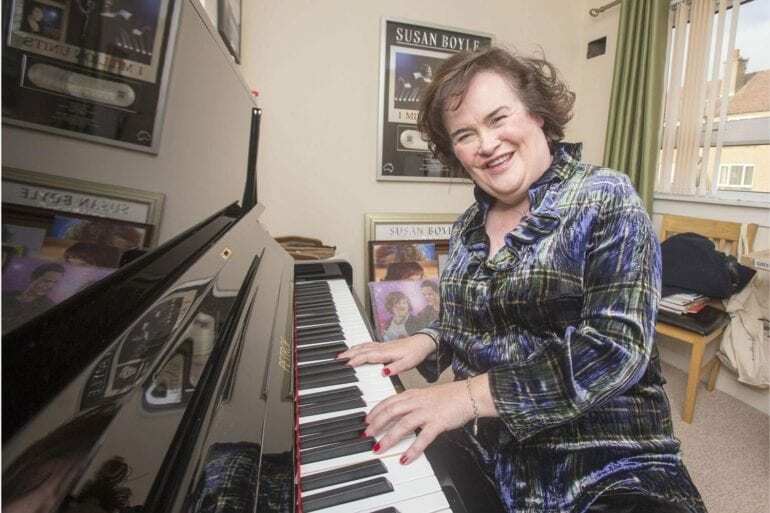 It was his label that made Susan Boyle into the household name we know today. Her first album as released a few months after her BGT performances. 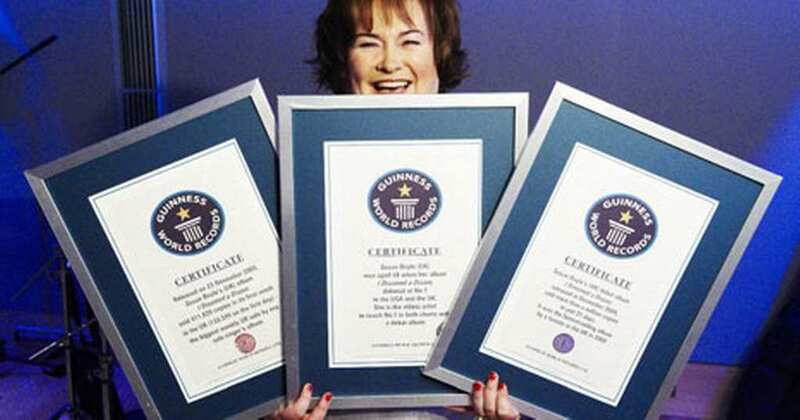 Susan’s success was officially marked by her receiving not one but three Guinness World records for her debut album’s first week success in the UK, as well as fastest-selling album by a female in the UK! Her third title was for being the oldest artist to reach the number one spot for a British and American debut. Upon hearing the news, Susan said she was honored to be considered and given the titles. I Dreamed Aa Dream sold an astonishing 411,820 copies in its first week alone. 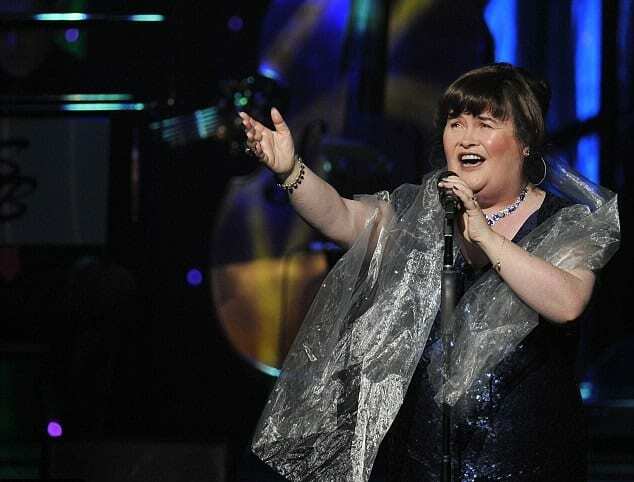 After her national and international success with I Dreamed a Dream, Susan went on tour and released several more albums. Her income from the albums and tours was substantial, as well as did the job of gaining her new fans the world over. Her tour ran from July 2013 to November 2014, a considerably long yet very successful tour. It was around that time that she found out she was a diabetic. 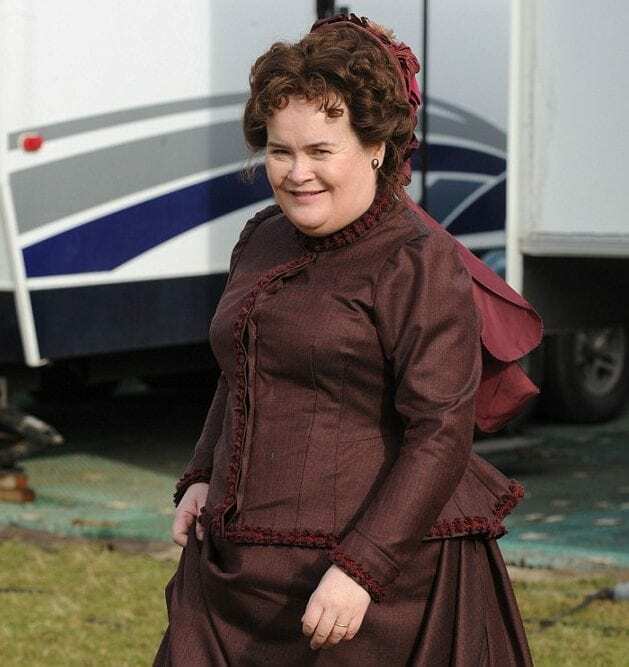 Susan made her film debut in the 2013 film The Christmas Candle. In the film she plays the role of the wife of a church warden. The film is filled with magic as it is about an angel that visits the town of Gladbury every 25 years. The period piece, as you can tell by Boyle’s outfit, starred other famous faces like Samantha Barks (who also had a role in the Les Miserables film of all things) and James Cosmo, who played her on-screen husband. Boyle, as she does, sang in the film as well. Believe or not, unlike many other famous individuals around the world, Susan wants nothing more than a normal life. 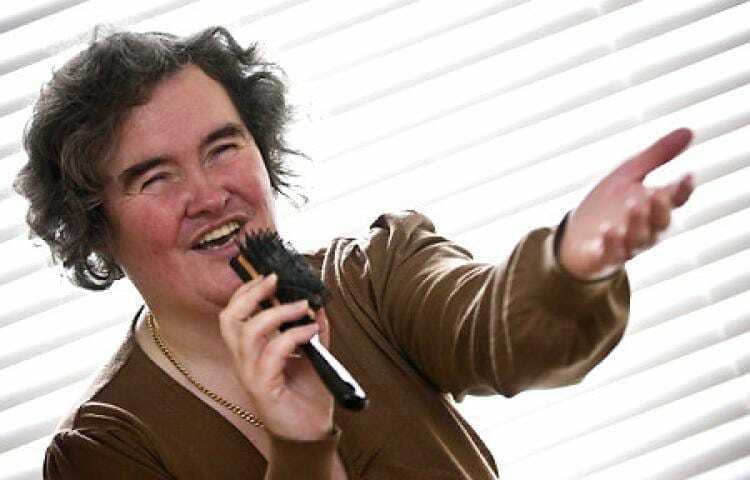 Call it her syndrome if you’d like but Boyle just likes to sing and make people happy. 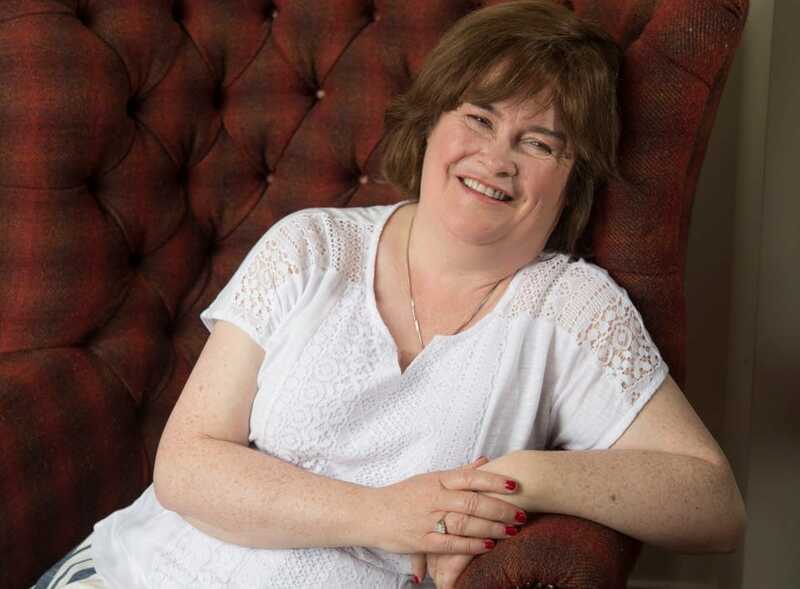 When she isn’t recording an album or touring, which she hasn’t done either of since 2016, Susan likes to be home and maintain a life like she had before her fateful audition. We have to say that it is incredibly commendable! 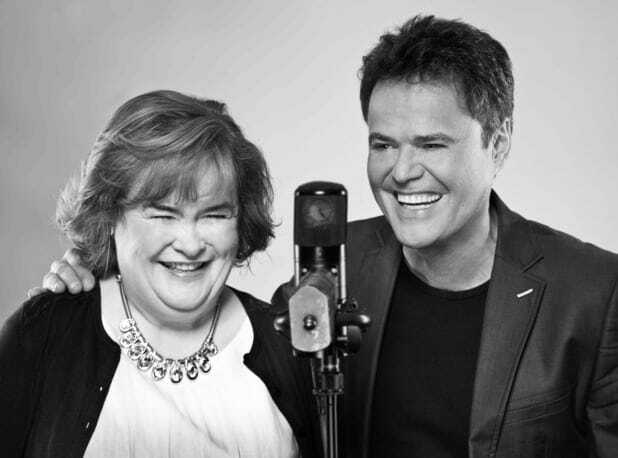 Susan, who has made a lot of money through her singing, is still a very down to earth woman who cares more for other than herself. She has donated much of her income to charity, still lives in the home she shared with her late mother and father and states that the most expensive things in her home are her perfume and one fur coat. She did end up buying a house nearby but decided it was not for her so she gifted it to her niece and moved back to her family home. As we said in the beginning, Susan always had trouble in the academic world and was therefore never inclined to attend university. 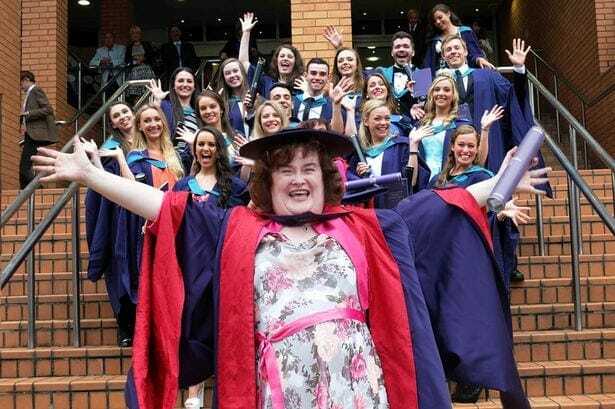 However, she did receive an honorary doctorate of music from the Royal Conservatoire of Scotland in 2015 and she could not have been more excited about it. 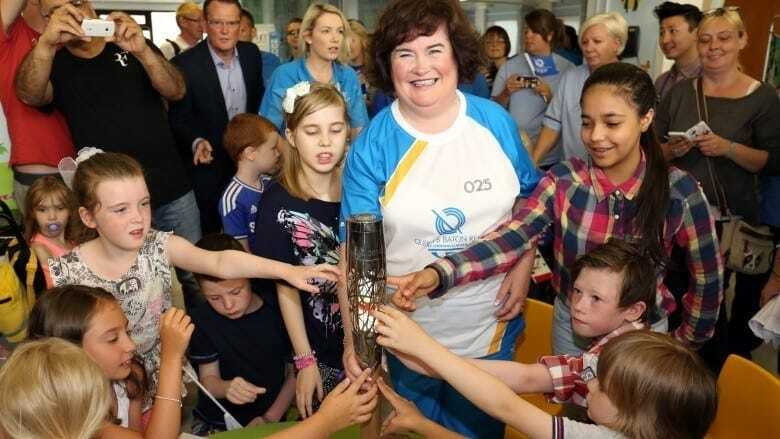 Susan said it was a ‘great privilege’ to receive the honor and was seen photographing with the year’s graduating class. Well deserved, we say! 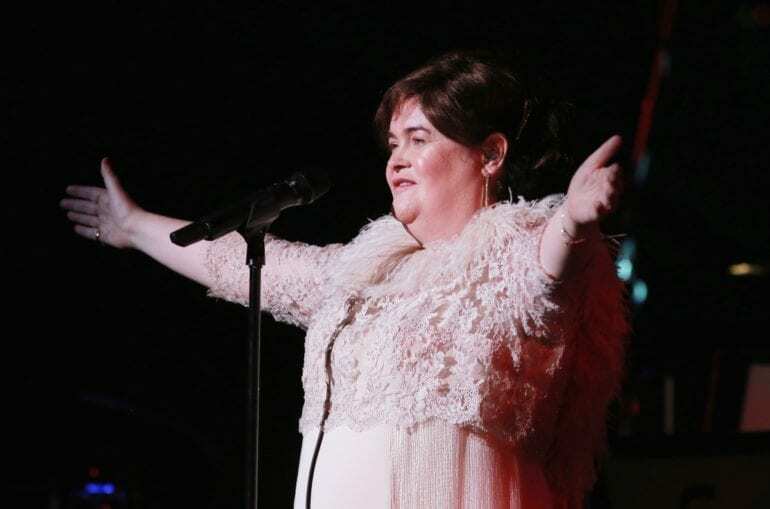 Thanks to years of records sales that have gone through the roof, as well as many events and other engagements, Susan is worth a reported $40 million! There are many conflicting accounts as to how much she is truly worth, but all estimates are in the tens of millions of dollars. Boyle has released seven studio albums throughout her short career but people seem to still be wanting her voice in their homes! Susan’s last album was released in 2016 and since then she has remained relatively low key. We were sad to learn that the reason for her laying low had to do with her being viciously bullied in her own town. 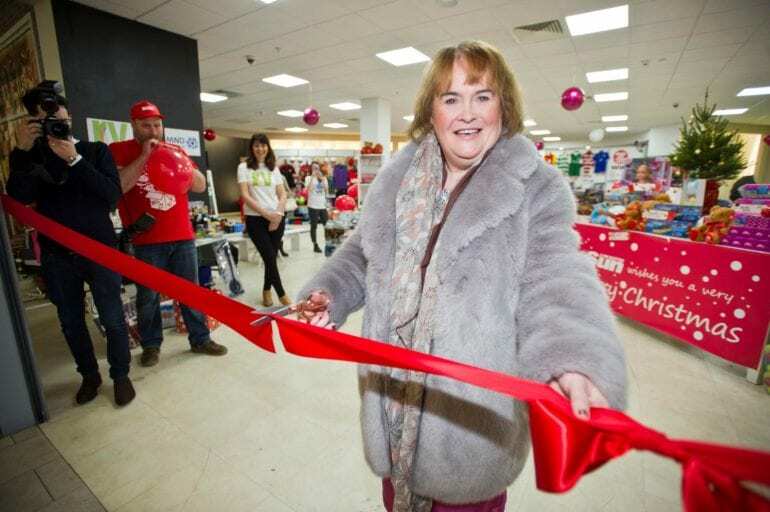 Boyle has been worried for her well being and is therefore spending much of her time behind closed doors. The situation got the attention of the local police department who are helping her remain safe. We hope the situation gets resolved and those who are bothering her leave her be.